"Plans, plans, plans. They always have their plans. But the problem with their plan... is that when you take an insane person to the asylum, you're just taking him home - the very place he knows best." This is for you! The Late Night/ Early Birds/ Future Warriors! Hello fellow inmates of TAY! And welcome to another late night appointment of TAY: Open Forums. Other wise known as the Graveyard Shift, where loonies as yourselves, can have a second go at arguing whether the notification alert is a bubble, a dot or even a filled in circle! *Since of yesterday great success, Neryl will be taking over the shift, seven nights a week. Yes, the Arkham Asylum at the outskirts of Gotham, one of its finer institutions than...lets say the boiling acid industrial sector. Released in late of 09 (has it been almost four years?! ), and developed by Rocksteady Studios. With out exriecing the scaring of your folks hitting the bucket, you are given the opportunity to be the greatest, and moodiest dectective; The Gawdanm Batman. 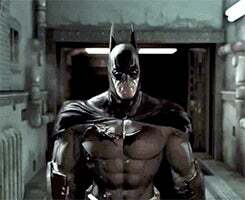 And what better place to strut that cape about than in the halls of Arkham itself? 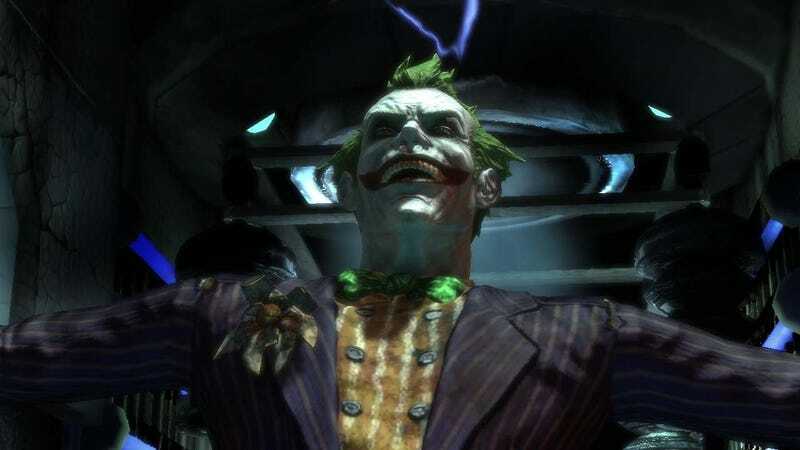 Home to the most upstanding individual whom only crimes is their jokiest of antics, and being declare bat sh*t crazy. So once again you (being the gawdanm BATMAN) find yourself to have apprehended The Joker, and returning him to Arkham once more. Yet its dreadfully different...and how right that is. Soon, what would have been a regular singles only, lonely vigilante night out turns into the worse possible outcome; the inmates have taken over. Guess the joke is on you? You now find yourself having to face not only the Joker, but the Scarecrow, Poison Ivy, the Riddler (not really), Bane, and Killer Croc. TAYPhotoshop contest for the Open Forum need images to Photoshop! A Hat in Time is a success, congrats Habboi! The Graveyard shift is not responsible for your late night procrastination, job loss, and failing grades, Don't forget TAY for the morning TAY:Open Forum. Or TAYClassic for the old type of writing.